They say every cloud has a silver lining!!? 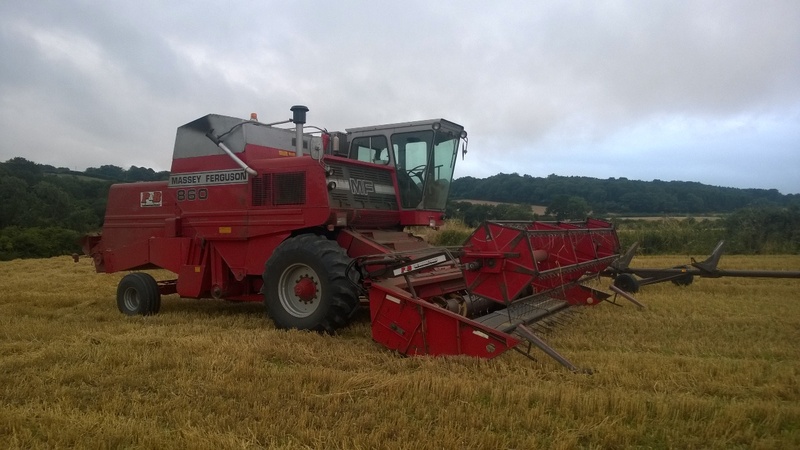 Well clouds are not what you want to see at harvest time! 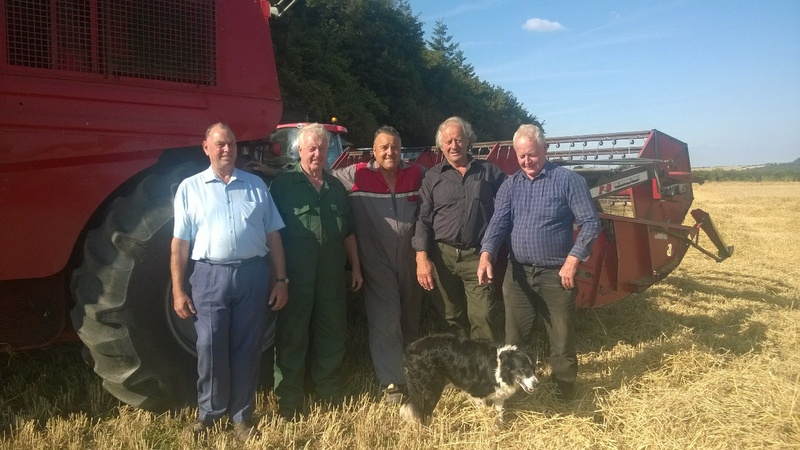 But the implications of a disastrous spell in August meant that there was a backlog of work to catch up with for everyone! And with that said we were contacted by a local grower who had been informed by his contractor that there would be a lengthy delay in getting to him because of the weather issues and if he found anyone else who was available he should take advantage of that. 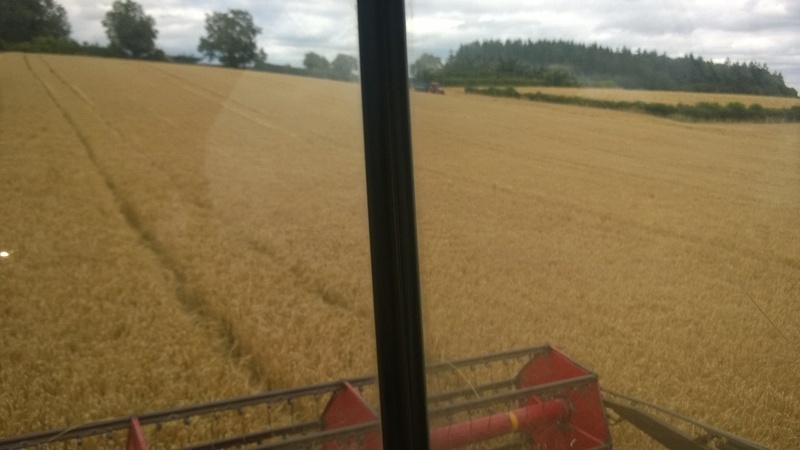 So with a phone call we were looking at double our acreage from the previous year with some wheat and spring barley! Unfortunately access to some of these crops was very tight as is normal in this area! So we removed gates and posts and widened entrances to suit! Also we were kindly allowed through a horse paddock from a private homeowner who appreciated our dilemma!! 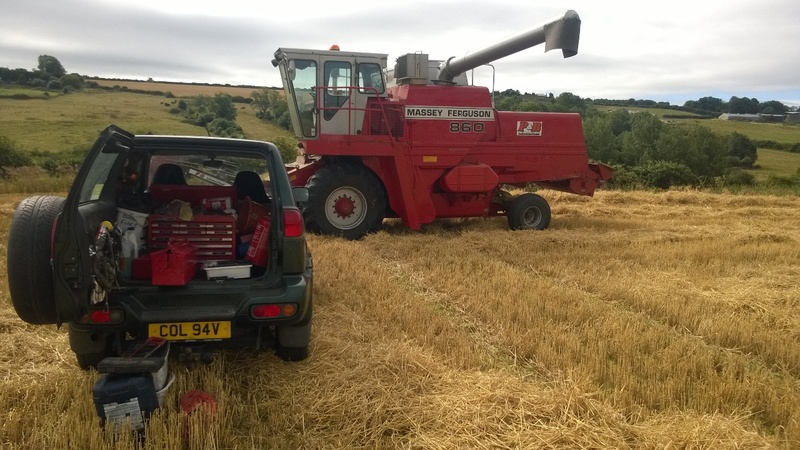 At harvest time you do what ever is necessary to gather in the crops. 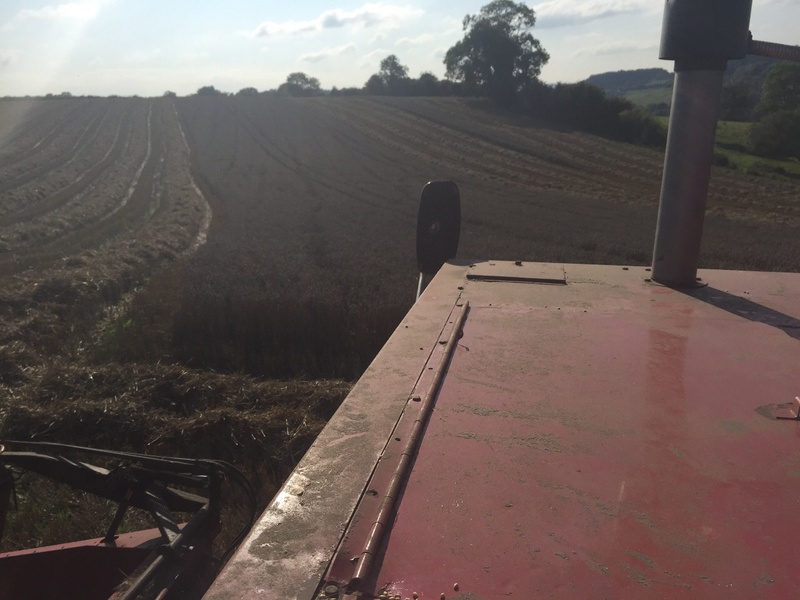 All of the crops we harvested including our own were up on yield and with a settled spell of weather end of August and early September the moisture of crops came down to 16/17% and it was a very short busy spell for us . 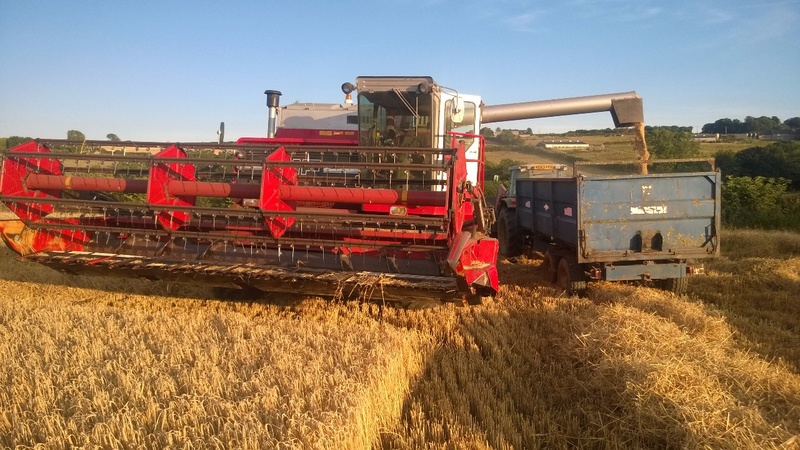 As our crops were later this year we unfortunately lost the ability to run several combines together, as we normally do, as Howard was away in America, and Friend Barry our other combine driver was catching up with his own harvest in Gloucestershire! 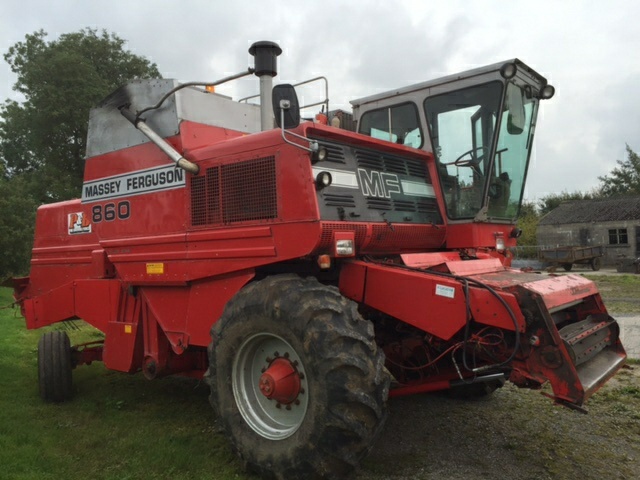 !plus it's very unlikely to find anybody who at short notice might give up a couple of days to drive a combine that's approaching 50 years old has no cab!! Or any creature comforts that is commonly found today!! 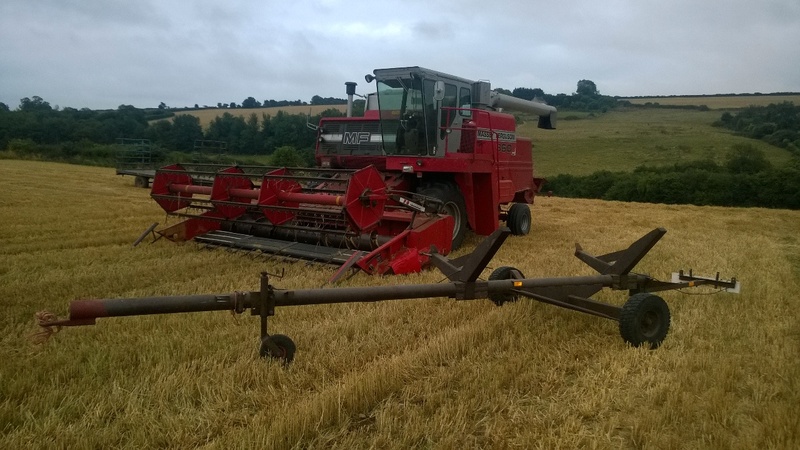 So it came to be without the others I carried out the combining with the 525, which was a shame but that's farming I guess, and mother nature calls the shots! !And decisions are solely based around her for sure!! Spring barley and a welcomed blue sky!! 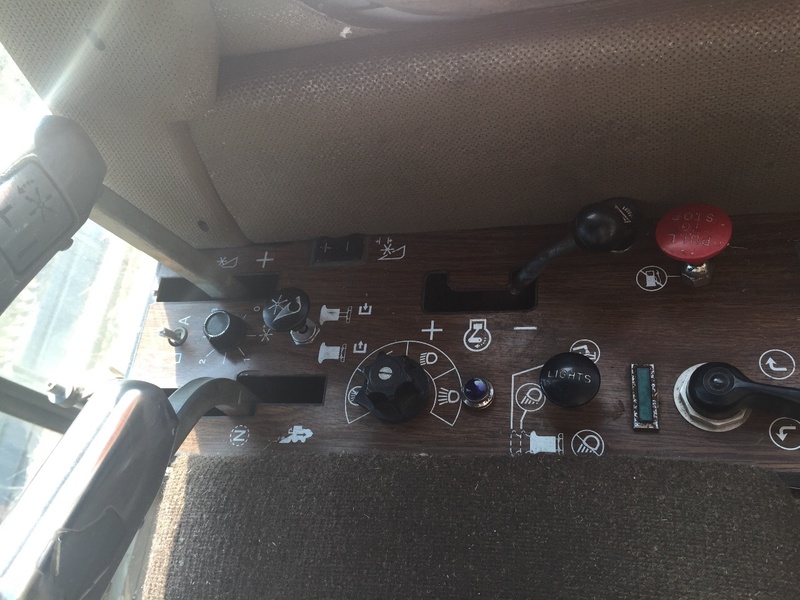 On board the 860 sorry no sound!!? Late evening shot and another 4 ton going into the trailer! A very special photo indeed! A very nice surprise! 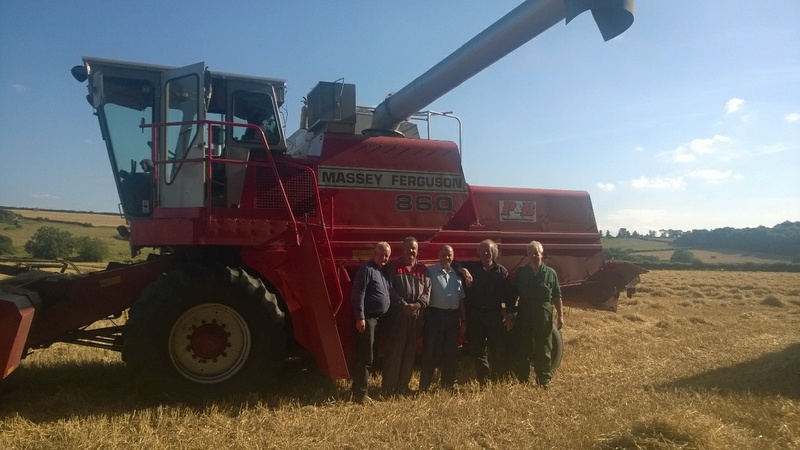 All of these Gentleman I worked with in Agricultural Contracting during the early seventies!! From right Mike, Viv (boss), myself, Hillary, Dave, and Moss the dog!! Thank you chaps!! Made my day!! Shot from the cab!! of the clean crop of Tipple Barley!! Awaiting the great British weather!! 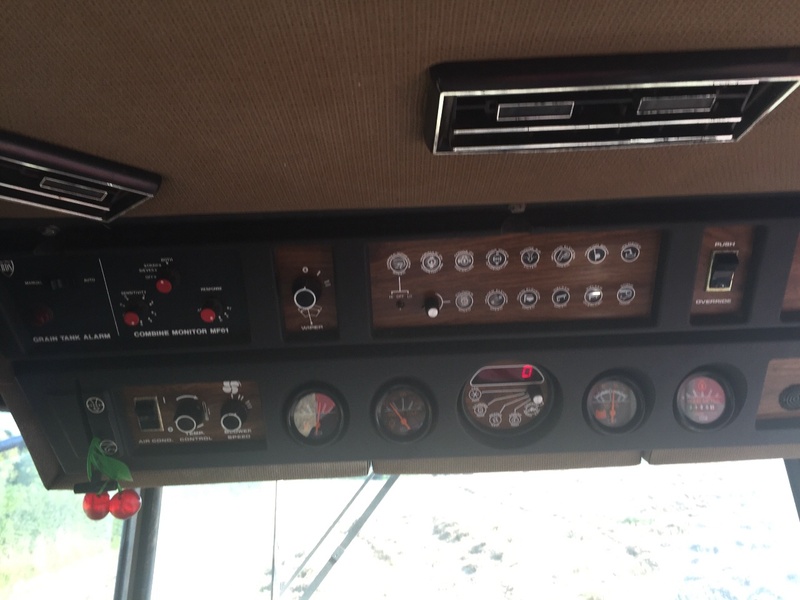 Cab instrumentation very basic by today's standard, but cutting edge in its day!! The final day! 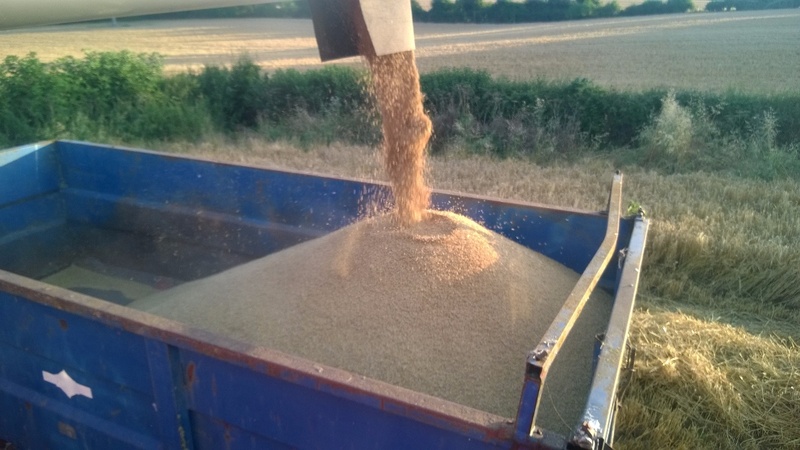 And some wheat that was surprisingly good despite the bad weather in August. 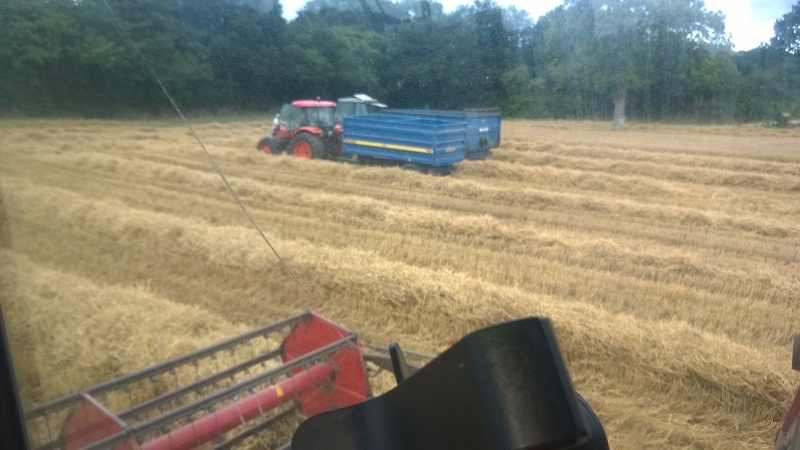 The last few acres of our 2015 harvest as seen from the seat!! 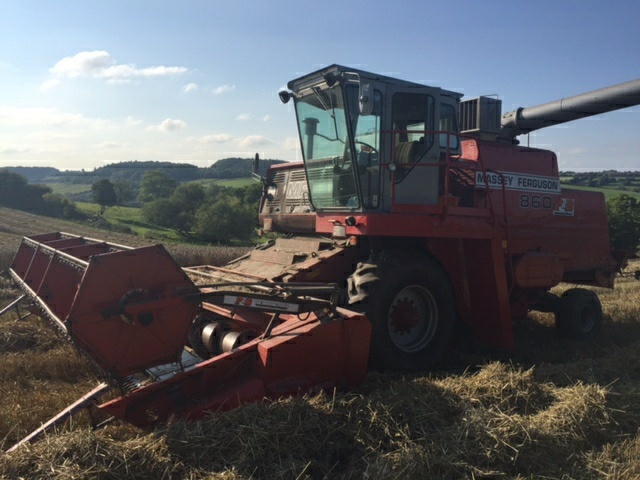 After a good blow down the combine was washed off and left out in the late September sunshine for a couple of days before winter storage. As clean as she started harvest! That's it for another season! 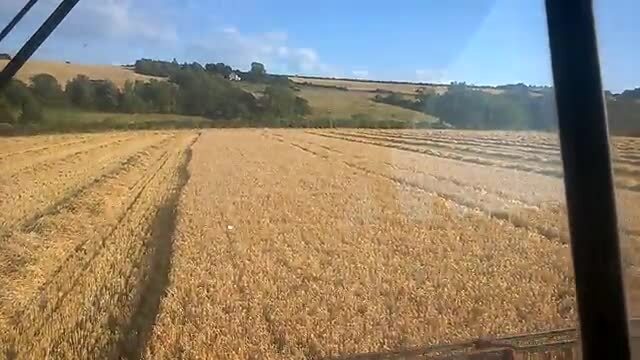 Our Harvest finnished mid September, the yields on all the crops we cut were slightly better than previous seasons, apart from a couple of minor problems we were happy again with the machinery we use, unfortunately the weather dealt a bad hand just as the crops were ready to go, but as always the harvest was completed. And now the cycle starts all over again, for sure today we take for granted that there will always be food on our tables! But without the considerable efforts of the world's farmers and their workforce and families this expectation could be so much different!! 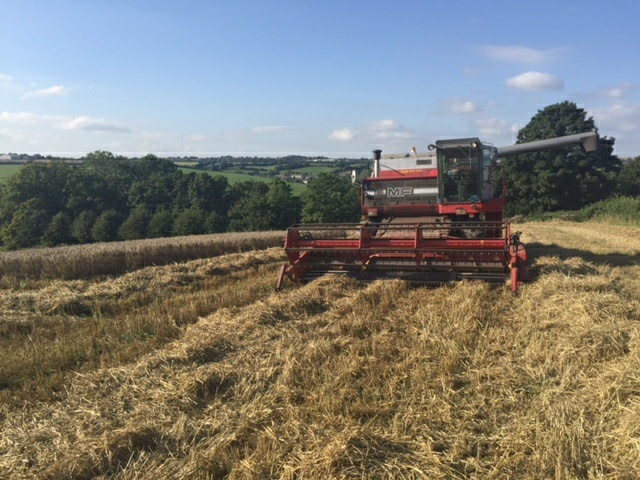 A big thank you to our customers who do their best to look after us during our short stays at their farms, hope to see you next season!! 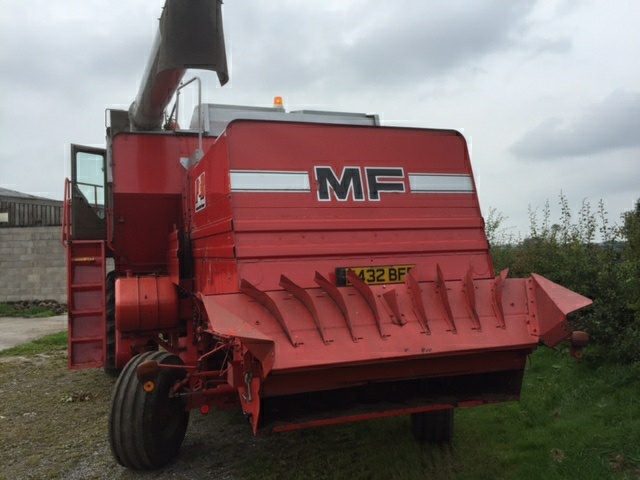 Thank you to Mathew Noble farm Machinery 01749 838812 for their help with parts and after hours support also!! 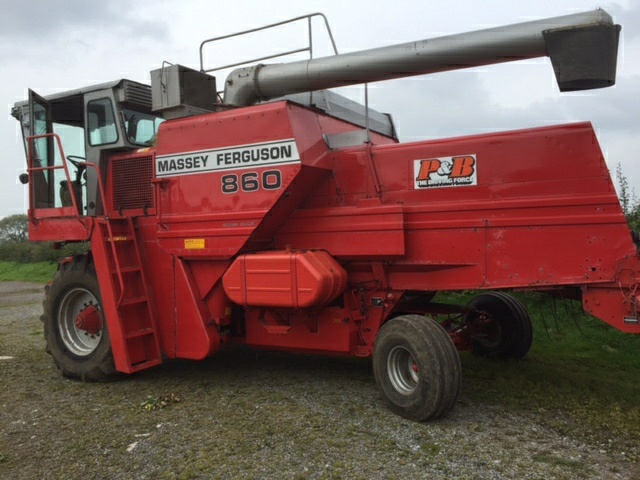 I hope you have enjoyed the pictures and the following ones of the end of our own harvest.